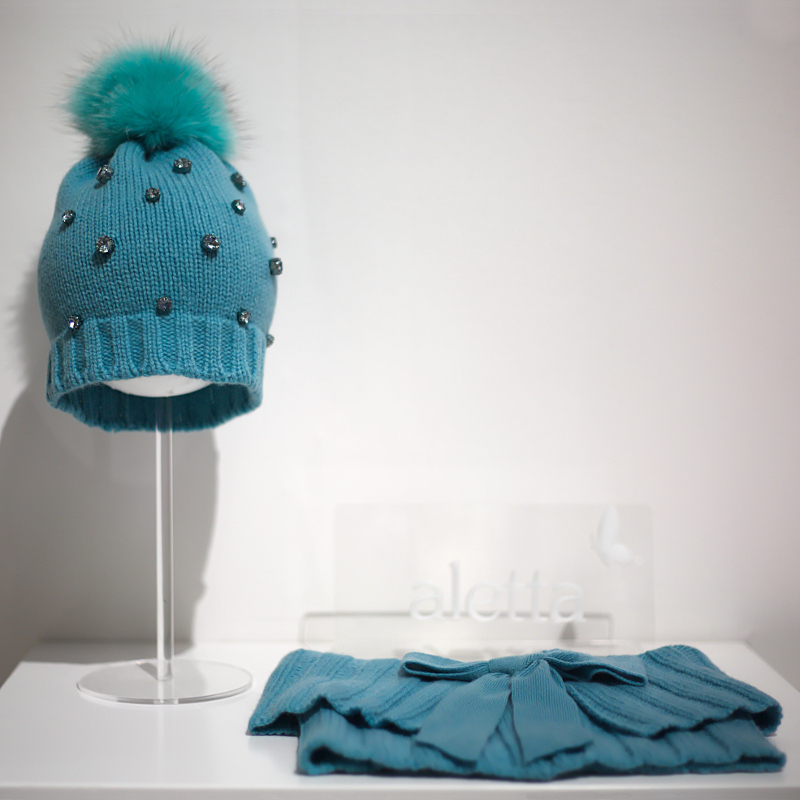 Aletta winter 2016 collection seen at Pitti Bimbo 82. A sneak peak to the beautiful padded jacket and the back to school line. After the fashion shows, we could relax a bit. We moved to the main pavilion where we had lunch and spent the rest of our second day at Pitti Bimbo. Our regular readers know how much we love some of the brands that have their stand there, and so we are sure no one will be surprised on hearing that the first we went and see is Aletta. We’ve often talked you about the warm and familiar welcome that we receive, and also this time it was just like visiting a best friend. All lines of Aletta winter 2016 collection are absolutely fabulous, which made it very difficult to choose now and then! In the end, for this first post we’ve selected two: oro and Mosaico. Beautiful padded jackets that come in the bright colours of light pink, ivory peach, strawberry red, blue dew and mint green (irresistible, our favourite!). 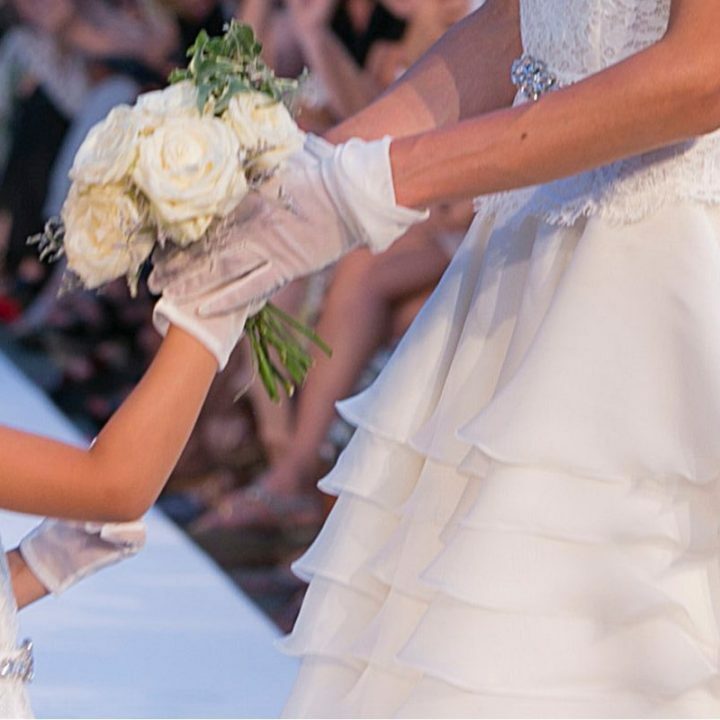 They are conceived for our little princesses, with frills at the neck and on the front, two little bows on the pockets, a romantic bow on the back and a detachable hood. They all come with beautiful matching hats, made from soft wool and embellished with big Swarosvski stones and fur pom-poms. Then a glimpse to the back to school line, which we’ve always been fond of. Ink blue, London grey and chalkboard black, those are the colours of the new fall winter 16/17 collection. Beautiful pinafore dresses, pleated skirts and trousers to be combined with their amazing white blouses: emblems of Made in Tuscany tailoring. Conclusesi le sfilate di moda, abbiamo avuto modo di rilassarci un po’! Ci siamo spostate nel padiglione centrale dove abbiamo pranzato e trascorso il resto del nostro secondo giorno al Pitti Bimbo. Chi ci segue abitualmente sa quanto amiamo alcuni dei marchi che hanno il loro stand lì, così siamo sicure che nessuno si sorprenderà nel sentire che il primo che abbiamo visitato è Aletta. Più volte vi abbiamo parlato dell’accoglienza calda e famigliare che ci attende, e anche questa volta è stato come andare a trovare un’amica di sempre. Tutte le linee della collezione autunno inverno 2016 di Aletta sono semplicemente favolose, cosa che ha reso molto difficile scegliere tanto allora quanto adesso! Alla fine, per questo primo post, ne abbiamo selezionato due: Oro e Mosaico. Gli adorabili piumini, proposti nei colori vivaci del rosa confetto, pesca avorio, rosso fragola, azzurro rugiada e verde menta (irresistibile, il nostro preferito!). Sono pensati per le nostre piccole principesse, con un’elegante profilo al collo e sul davanti, due fiocchetti sulle tasche, un romantico fiocco sulla schiena e un cappuccio rimovibile. Sono tutti accompagnati da splendidi cappelli dello stesso colore, realizzati con in morbida lana ed impreziositi da grandi pietre Swarovski e pompon in pelliccia. Poi uno sguardo alla linea per il rientro a scuola, che amiamo da sempre. Blu inchiostro, grigio Londra e nero lavagna, questi i colori della nuova collezione per l’autunno inverno 16/17. Meravigliosi scamiciati, gonne a pieghe e pantaloni da abbinare alle splendide camicie bianche: emblema dell’arte sartoriale Made in Tuscany. 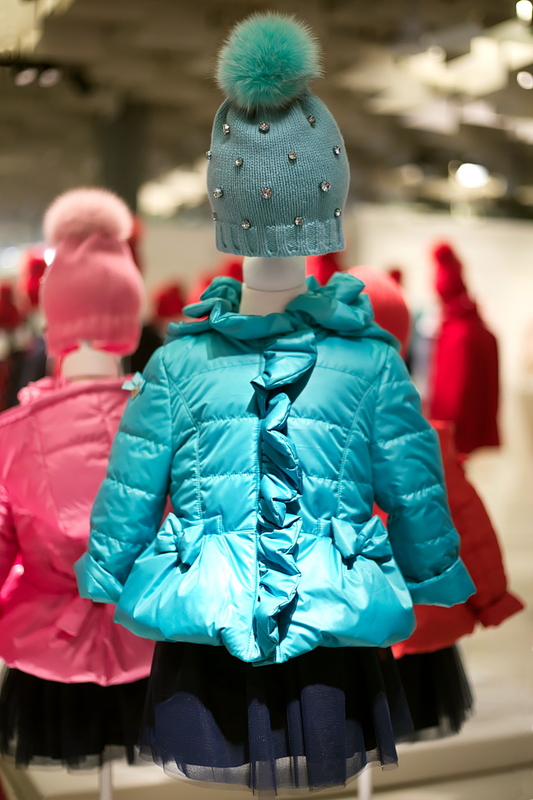 Pitti Bimbo 82, Aletta winter 2016. 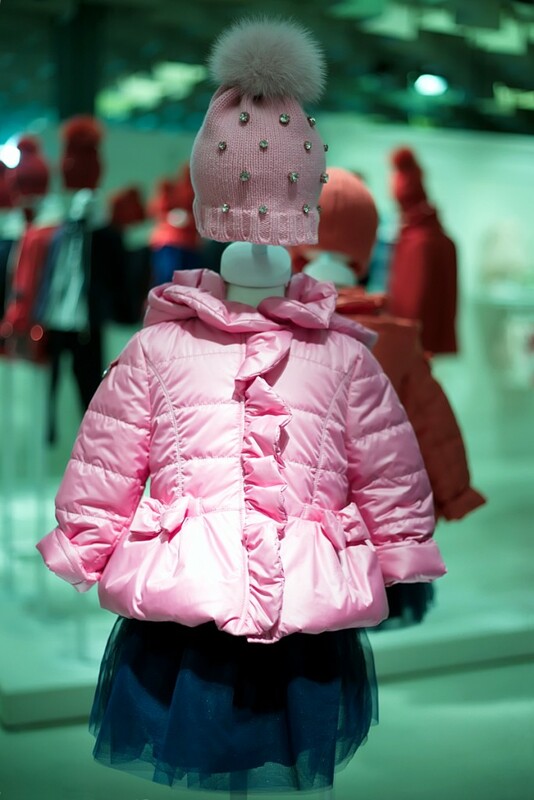 Beautiful down padded jackets with frills at the neck and bows on the pockets. Perfect for our girls. We love this new mint green shade. 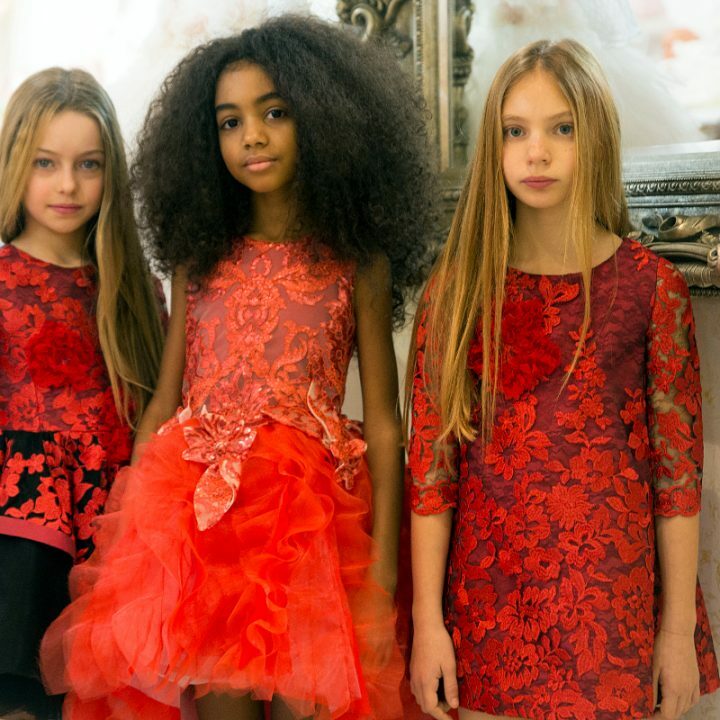 Pitti Bimbo 82, Aletta fall winter 2016. The new collection encompasses elegant accessories made from soft wool and enriched with swarovski stones and fur details. Pitti Bimbo 82, Aletta winter 2016. The down padded jackets for the new season come in beautiful bright colours with matching wool hats characterised by swaroski stones and soft furry pom-poms. 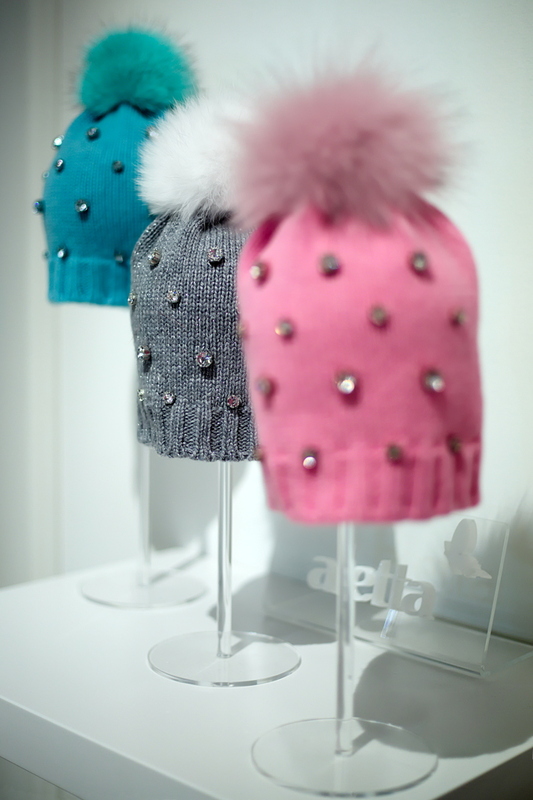 Pitti Bimbo 82, Aletta winter 2016 hats made with soft wool and embellished with big swarovski stones and soft fur pom-pom. 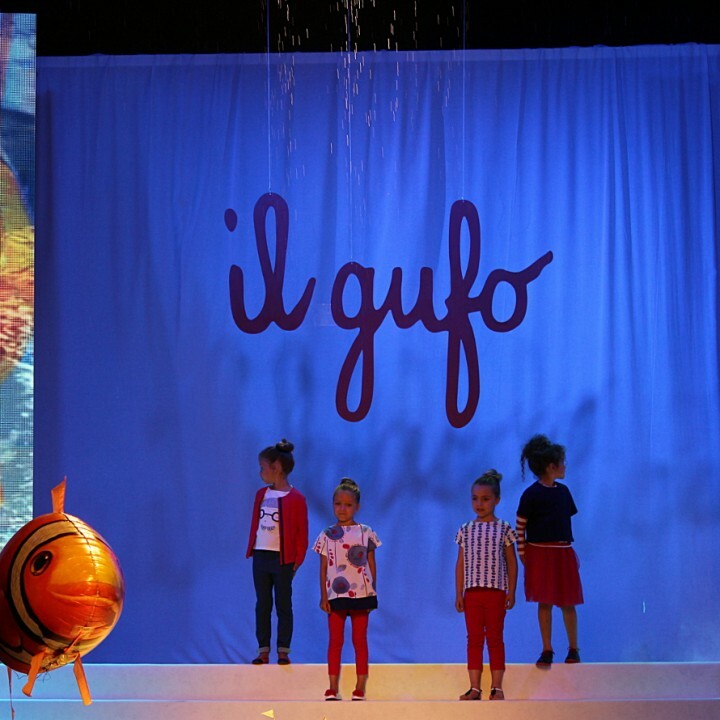 Pitti Bimbo 82, Aletta winter 2016. 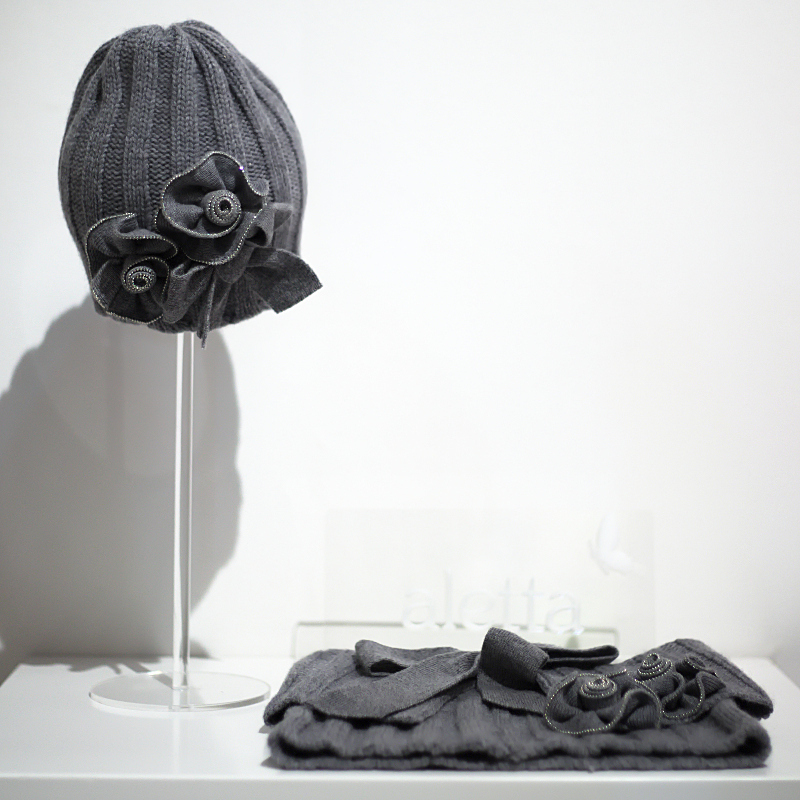 Another beautiful set of wool accessories characterised by big flowers appliqués. They are made with soft wools and decorated with a line of little stones. 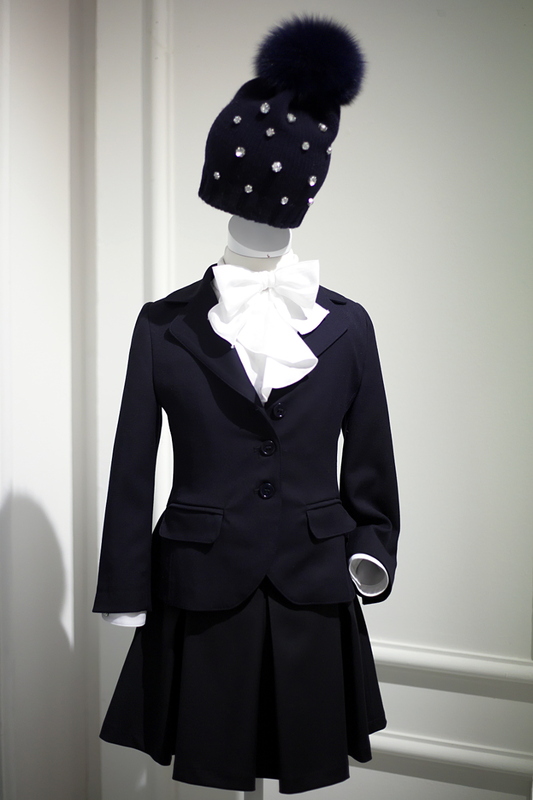 Pitti Bimbo 82, Aletta winter 2016. A navy blue outfit conceived for the back to school. Once more the outfit is completed with a beautiful matching wool hat. Pitti Bimbo 82, Aletta winter 2016. 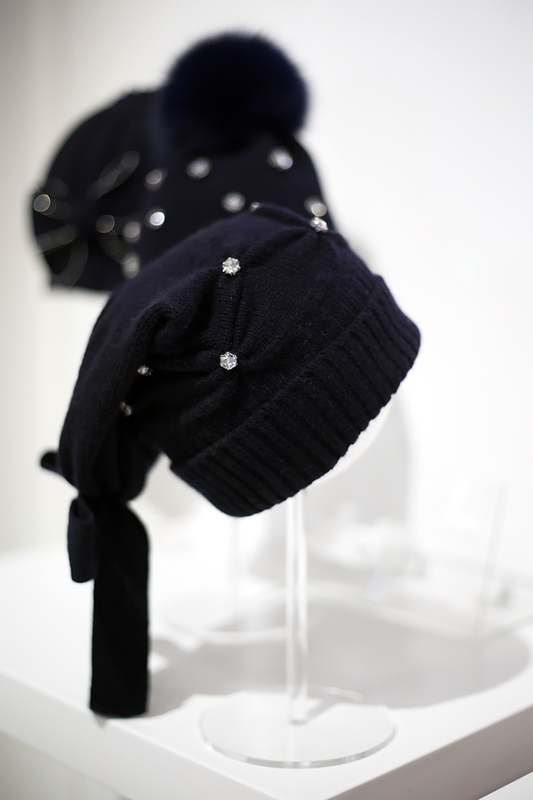 A range of navy blue hats made with soft wool and embellished with swarovski stones, fur pom-poms and large bows. 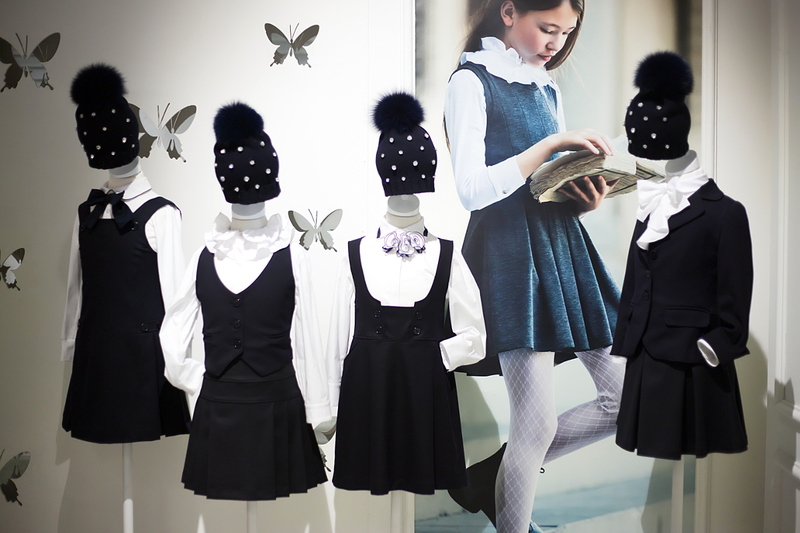 Pitti Bimbo 82, Aletta fall winter 2016 a range of back to school outfits for the new season. They made it almost impossible to choose!